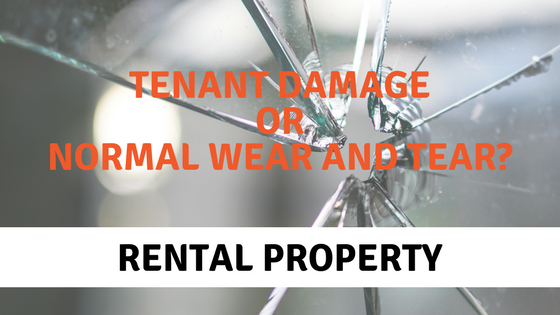 What is reasonable wear and tear when renting? Wear and tear are three words that can drive landlords to despair! Is wear and tear a sloppy excuse for lack of care? Where does wear and tear end and when does it become damage? As an established Leicester letting agent we offer some answers and solutions to help tackle this tricky issue. There are no clear answers here as each situation is different, it’s a matter of common sense. If you offer a furnished property with a white fabric sofa there’s a good chance it won’t be white a year later but if it’s burnt or stained with nail varnish then this could be considered damaged. The number of tenants – a four-member family with young children is likely to cause more wear and tear than a single professional. Quality of the property – scuffs and marks will be more apparent in a new property or newly refurbished property. Age of furniture – wear and tear will be more evident if furnishings are old e.g. cheap secondhand furniture bought specifically for rental properties. What’s considered to be damage? If something is obviously broken or requires intensive cleaning then consider this damage. Also, question whether the issue is from natural use or carelessness. Can wear and tear be prevented? There’s no point in creating a showhome with every room designed to perfection. Opt for durable, long-lasting items that will stand the test time of time. Remember that going too cheap (as tempting as it can be) may result in items constantly needing replacing. The landlord should set the standard, a clean property will show the tenant how it should be kept and in what state it should be at the end of the tenancy. A shabby property will put off prospective clean tenants and attract the more scruffy, careless tenant. If you keep the tenant happy then they’re likely to treat the property with respect. If the tenant raises repair or maintenance issues then be prompt in addressing them. Using a Leicester letting agent such as Readings, allows us to take on this role for you and take advantage of our extensive maintenance network to fix any issues efficiently and without delay. We use an online reporting tool to ensure any issues are logged and actioned as soon as possible. Although this isn’t easy it is worthwhile. tenants who are going to make your property their home for an extended period of time are more likely to look after it. You can’t just turn up unannounced to carry out an inspection, there are some very clear regulations on this area. Inspections should be scheduled well in advance and are a great way to monitor wear and tear before anything becomes a big issue and unexpected. Again, a letting agent can do this on your behalf if you wish. At the beginning of the tenancy, a landlord has every right to say that the property must remain in a good condition by regular maintenance and cleaning. It shouldn’t put off a good quality tenant! Deposit disputes between a landlord and tenant usually stem from issues of wear and tear/damage. With the Readings inventory service, there’ll be photographic evidence and impartial, fully documented check in and check out procedure.